As I think back to the last World Cup in 2006 and the current one in 2010, I also think about two Internet and social media companies—Yahoo! and Twitter. one of the things I remember most was the experience watching some of the games while working at Yahoo!. In 2006, I was employed by Yahoo!, a fantastic place to work where one could build strong personal relationships and friendships with co-workers, a company which had the ability to succeed, experiment, invest in, and evangelize all facets of the web, and maintained a truly global workforce. That global workforce is what I remember very vividly about the 2006 World Cup. Yahoo! 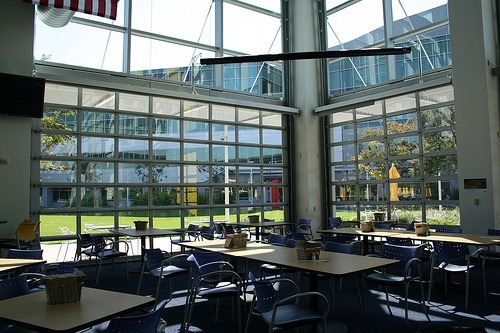 has a cafeteria and meeting area called URL’s for its thousands of employees in Sunnyvale, California. URL’s has a few TV screen’s hung up for all hands meetings for executives to display their presentation materials, the Yahoo! web site or videos to employees. Occasionally, those TV’s would actually be on to display television programming and the World Cup was one of those occasions. 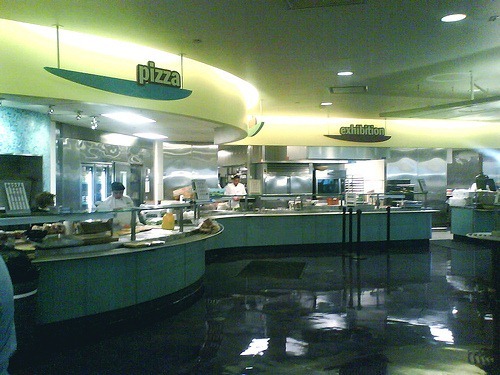 Every World Cup match during working hours was shown on those TVs. Every match regardless of how well known or obscure the country had employees down there watching and cheering. And these weren’t just adopted fans of a particular country, there were employees from each country—whether it be an Argentina, Croatia, Iran, England, Costa Rica, Brazil, Mexico, or Switzerland, Yahoo! employed people from those countries in Sunnyvale. One of the great things about Silicon Valley and Yahoo!—the true diversity and globalization of the work force. For that one month, the World Cup truly became a unifying force at Yahoo!, a common theme that employees embraced, could rally around and added to the work experience. A work experience I won’t soon forget! Now as we embark on the 2010 World Cup journey, one of the things that I believe will make me enjoy this Cup even more than the past ones is Twitter. Twitter wasn’t around in 2006, but I truly believe Twitter can enhance the World Cup experience. Twitter will allow a running commentary with people around the world during the Cup; before, during, and after matches. You can see comments from fans from the countries in matches, journalists and soccer experts covering the matches, fans from other countries anticipating matches with their countries, your own friends and co-workers, and even players from the teams. Plus, comments from celebrities and athletes from other sports can even add additional flavor to the experience. While some would say it makes the commentary overwhelming and oversaturated, to me it adds perspective, enthusiasm, and anticipation. In an earlier post, I talked about my Internet usage patterns and mentioned a site called Redszone which I would use to follow the Cincinnati Reds, my favorite baseball team. Redszone and sites like it have an ingame thread where users would comment during the game—these sites have been around for at least ten years and certainly existed during the last World Cup. Sites like Soccer365 had game threads and forums for each country back then as well, so one may argue that Twitter doesn’t bring anything new—these forums and game threads did the same thing back in 2006, but Twitter simply has more buzz. I would argue differently, however. Twitter lets you have perspective and access to a much broader cross section of people and fans. Soccer365 has a limited number of users, all passionate soccer fans, but certainly limited to a few regions. Additionally, you won’t have experts, journalists, and players commenting on those sites. On Twitter, you can as easily see the experts opinion, the unknown Nigerian or Australian team fan, or your co-worker from the marketing department. If you want, you can see what Ocho Cinco or Steve Nash, famous athletes in other sports, have to say about the World Cup. Likewise, if I want to see what soccer journalists Grant Wahl or Gabrielle Marcotti, have to say I can follow their feeds. Creating filters using hash tags such as #worldcup, #fifa, #worldcup2010, #Arg, #Nig, etc., I can see comments from all of these sources together. A wonderful addition to my World Cup experience! Apurva, nice post. I’m excited about this year’s World Cup too – have been Tivoing every game so far :). You’re right, Twitter is going to be used in really interesting ways to follow the action – maybe you could follow up this post with some observations about ways in which people are using Twitter during it? I’d love to see how you set yourself up to follow this on Twitter.